10"W x 2"H or 8"W x 2"H custom acrylic engraved office signs and corporate name plates- Customize these engraved office signs any way you like - up to 5 signs at a time with your employee names, titles, room numbers etc, at no extra charge. 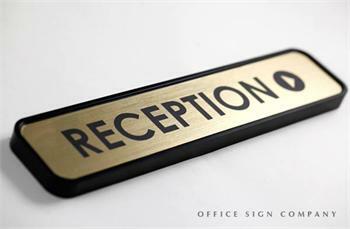 For customers with a long list of employee names, please email us with your complete list to service@officesigncompany.com. Be sure to order the appropriate QTY of signs to accommodate your list of names. 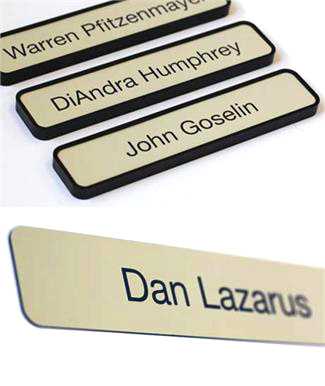 Our engraved signs and name plates are easily interchangeable with a suction cup, making these an economical choice for changing room names, employee updates and office names. 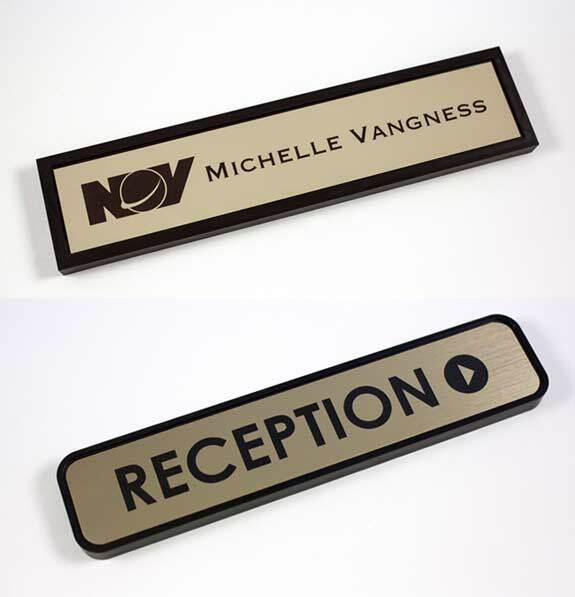 These signs showcase a gold name plate with black print but are available in virtually any color (too many to list). 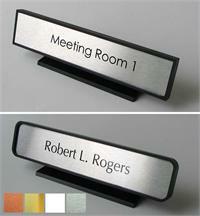 Customize a single office sign or customize up to 5 engraved signs at once using the fields below. 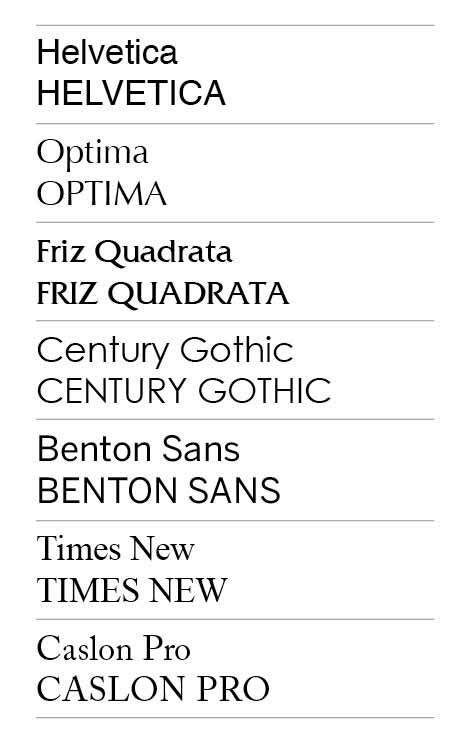 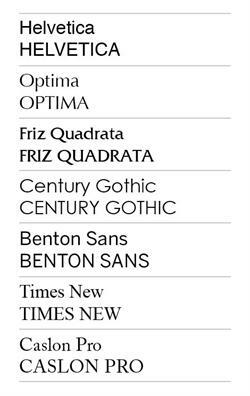 Be sure to adjust the appropriate number of signs in the QTY box. Simply send us an email with special instructions if necessary. 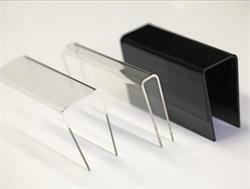 Our sign plates are available in virtually any color - what do you need?